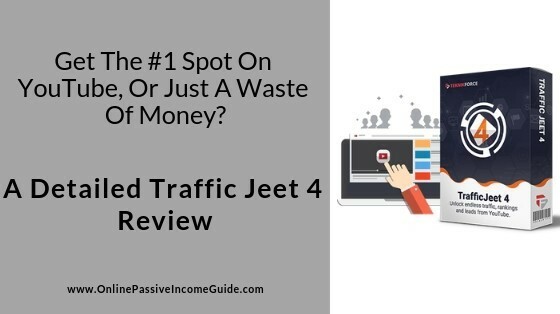 Traffic Jeet 4 Review - Rank #1 On YouTube Or Just A Waste Of Money? You probably have you been invited to buy this new tool that is supposed to help you rank your YouTube videos in the #1 spot and stay there in order to get more views and then, sales, leads, affiliate commissions, …etc. and you are wondering if you really need to buy another tool or is it just a replication of other existing tools. Join me in this detailed Traffic Jeet 4 Review in order to find out if you can make good use of this tool or not. YouTube has over one billion users. YouTube, on mobile alone, reaches more people in the US than any TV network. YouTube exists in 91 countries that speak up to in 80 languages. One billion hours are being watched daily. These are just some of the main stats that show you the huge potential of getting benefits from using YouTube in your marketing efforts and finding a low competition space where you can reach more people with ease, especially that Google has recently announced there are currently over 1 billion blogs in different niches and categories that, which makes the competition really tough. And this is where Traffic Jeet supposed to help you in finding opportunities in the video creation and distribution world in order to overcome the competition. Let’s dive in into this TrafficJeet 4 review in order to know if this is a really useful tool or just a waste of time and money. Option #1: One-Time Fee for $37 during the launch. (Click Here To Get The Discounted Price!) and $67 after that. Option #2: Monthly Fee for $9.95/month during the launch. (Click Here To Get The Discounted Price!) and $17/month after that. What Is Traffic Jeet 4 Software? Traffic Jeet 4 is a Keyword Resarch Tool that allows you to research keywords that you can target for the sake of ranking your YouTube videos in the search results of YouTube and Google under certain search queries. But when it comes to traffic Jeet App, it is designed to allow you research keywords to use in order to rank your YouTube videos in particular and study the competition for those keywords. How Does Traffic Jeet 4 Work? Traffic Jeet 4 works by installing the software on your computer and using it there. It is NOT a cloud-hosted software. There are six main Apps in the Traffic Jeet 4 main package that you can use as in the following section. This is the main tool that you can use in order to find keyword ideas that are related to the root keyword you enter. It also allows you to analyze the other top videos that are ranking on YouTube for these keywords and see how many views, comments, likes & dislikes they got, the channel that uploaded each video, the category of that video, the description of that video, tags, …etc. And it will tell you if there’s a video that is ranking on Google page #1 for that keyword or not. It also allows you to check the rankings on YouTube over time for any videos against a specific keyword, whether it was your video or not. Note: Traffic Jeet 4 does NOT give you the search volume, but you can get some sense of it by analyzing the number of views other videos are getting for that keyword if you use the tracker in the following item. And you can use the Google Keyword Planner which will give you the search volume on Google search engine. This is almost the same of one of the features included in the first item above “Traffic Jeet”, but a more detailed one. Track the rankings for a certain video against the targeted keyword on both: YouTube and Google search engine. You can track the rankings for the video in specific countries as the result of the same keyword might differ from one country to another. Allows you to compare the performance your video to a competitor’s video against the same keyword in terms of views, comments, …etc. Also, you can do that for specific countries you choose. This tool analyzes for you the value of different but related keywords and tells you what is the one keyword that will bring you the most possible traffic based on the total potential traffic and the competition. Trying to run YouTube ads and not sure what keywords to target? This tool will allow you to filter the keyword ideas that you get from Google Keyword Planner based on different factors in order to find the keywords that have good search volume and low competition, whether from other ads or from the organic video search results. Use Google Keyword Planner to find keyword ideas relevant to your main keywords, export the ideas into a CSV file, and upload them to the YT Best Keywords tool from Traffic Jeet. Request the tool to analyze the top videos ranking for each keyword idea, and it will give you the statistics of the top ranking video for each keyword idea such as: number of views, comments, likes & dislikes, …etc. Set the criteria you want to use in order to filter the keywords. For example: (Searches over 10,000, top views less than 500, top comments less than 200, …etc. and the software will give you only the keyword ideas that are in accordance with the criteria you specified. Now download these keywords and upload them to Google Ads Manager and use them in your campaign. Wondering what is the best niche to target on YouTube with your channel? This tool is supposed to help you find sub-niches of each main niche, and sub-sub-niches and so on. This way, you can avoid the competition by finding ideas to sub-niches and keywords that are untapped by other YouTube channel owners, which will help you get traffic faster and grow your channel easier than if you target keywords that belong to the same main niche that everybody else is targeting. You can find the tags that others are using to rank their videos under the target keyword so that you might analyze and see if you want to use the same tags. Very low price if you get the front-end product during the launch phase at the one-time fee of $37. (Click Here To Get It!). Allows you to quickly analyze the top search results of a certain keyword on YouTube. Lots of useful tools included in the main package that allows you to track the rankings of your videos and compare them to others’ videos’ rankings. Allows you to track the rankings of a certain video based on specific countries. Ability to compare different but related keywords in order to find the best opportunity. Ability to find keywords with low competition for the YouTube ads you want to setup. Allows you to dig down into sub-niches that have lower competition than the main niche. Allows you to also find if there are videos ranking on Google search results for the same keyword. There’s a 30-Day Money-Back Guarantee. The front-end package is limited for 1 year of updates. The number of research and tracking operations is limited with the front-end package, you will need the first upsell of $47 in order to perform the unlimited operations and the updates for 2 years. Doesn’t allow you to store keyword lists, unlike Jaaxy keyword tool for example. They overpromise by saying that the app gets you to position #1 in the search results and keeps you there. While it is a great tool for finding good keywords to target, but that is not everything as you still need to create a good video that will engage people and be consistent creating videos over time. Who Is Traffic Jeet 4 For? This includes the updates for free for the first year only. Note: There’s a limitation on how many searches, ranking tracking, niche discovery, …etc. that you can do, but I couldn’t find the numbers of these limits. However, the first up-sell of the following optional upsells gives you the ability to perform unlimited search operations. 2 years of free upgrade. Ready sales page to recruit clients. Traffic Jeet Reseller upsell gives you the right to sell the core product for the full price and keep 100% of the profit for yourself. Creates automated playlists for you trying to drive traffic to your videos even through targeting keywords that your videos aren’t about. NOTE: I don’t recommend buying this up-sell in particular as you should NOT try to rank your videos for unrelated keywords. This is probably a software that you can use to post automated comments on others’ videos that will link back to your videos or to your website. NOTE: If you want to use it, then be careful not to go aggressive as this might get your account banned and even closed permanently due to spamming. In my opinion, the core front-end product and the first up-sell are the most important ones, try to get those during the launch phase in order to get them at the lowest price. 24 x 7 Live Chat Support. However, as the Traffic Jeet 4 Software is still new, we couldn’t get the chance to further experience the support efficiency. Conclusion – Is Traffic Jeet 4 A Scam Or Legit? Traffic Jeet 4 is NOT a scam. It is a useful software with good features that is sold at a reasonable price. You can get the front-end main package for only $37 one-time payment through the link above. However, due to the limited number of search tracking operations that you can get with the front-end package, I recommend, if you tried it and found it useful for you, to upgrade for the first up-sell (Traffic Jeet 4 Pro) that is sold for $47 one-time payment so that you get unlimited number of searches. And remember that there’s a 30-days money back guarantee if you didn’t like the software. Alternatives To Traffic Jeet 4? As I mentioned earlier, Traffic Jeet 4 is legit and is a useful keyword research tool that you can use in order to research opportunities in the YouTube world, and you can use it for that purpose. In case that you need a tool for the purpose of researching keywords for the YouTube videos, then Traffic Jeet might be enough for you. In case that you have a website or a blog and you are looking for a keyword tool that you need to use in order to do keyword research for the purpose of writing SEO optimized written content, then Traffic Jeet 4 can’t help you there. And for that purpose, I recommend Jaaxy, one of the most advanced SEO keyword research tools out there. You can read my Jaaxy Review to learn more about it and you can get the free trial from there before you purchase it. In case that you don’t have, neither a YouTube channel nor a website, and you are looking for a way to make money online, then no keyword research tool will be sufficient to make any money. And in this case, you need to learn a way of making money online before you need to use any tool. 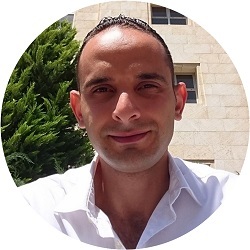 And for that reason, I recommend to you reading my FREE Ultimate Make Money Online Guide, which will guide you into learning the best method of making money online for beginners and advanced. It is a 100% legit and evergreen method that many people are using in order to make money with, including myself, and that’s why I recommend it for you. You will learn about this method and about the place where I learned this method and where you too can learn it. And don’t worry, they have a FREE plan so that you try it before you pay for anything. No Credit Card Required. 100% Risk FREE! The Appointment Generator Review – Acquire New Clients Through LinkedIn?